Whether on an oil rig, in a gas installation or other potentially explosive envirnment, safe and reliable communications are paramount. 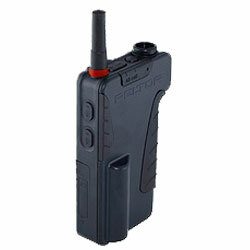 That is why Sitelink has included the Motorola ATEX two-way radio range in it’s hire fleet. Sitelink supply the complete range of Motorola ATEX two-way radio’s including base station and control equipment to provide a complete communications solution. Renowned for their durability, Motorola Professional Series Portable Radios offer unrivalled crystal clear audio quality by activating either Motorola’s X-Pand™ technology or ‘Low Level Expansion.’ This reduces noise usually heard during conversational pauses. When discretion is key, the ‘whisper’ function means that even the quietest message can be transmitted and understood. All radios have passed Motorola´s rigorous Accelerated Life Test which simulates five years of hard use in the field, and are IP64 compliant for use in environments where dust ingress can leave other radios standing. In addition, the Motorola Professional Series Portable Radios are designed and built to exceed the 11 applicable tests of the exacting standard MIL Spec 810F; the quality hallmark of the US military. The visible blue colour of the ATEX radios is the official ATEX colour recognised by professional users. The blue colour increases safety for user with mixed fleet of ATEX and non-ATEX radios. The dedicated blue ATEX colour will help ensure that users bring only ATEX approved radios into potentially explosive environments. Press the highly visible orange Emergency Button to initiate the organisation´s defined emergency communications procedure. Providing even greater safety for employees in hazardous environments, Sitelink can provide a new ATEX-approved mandown option board for the GP340, GP380 and GP680 ATEX radios. This factory-fitted option board automatically summons assistance when the radio falls over or remains motionless for a predetermined time period. 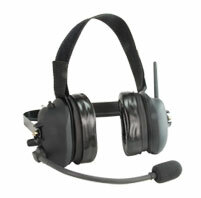 Additional safety features include a specially-designed battery connection that prevents non-ATEX approved batteries from being fitted to the radios. The lockable accessory connector plug features a tamper-proof screw to control the use of accessories. Avoid missed calls as the Channel Scan function allows activity on different communications channels to be monitored and answered. When working offsite or close to other users, ‘Talkaround’ lets users communicate without using the system or dispatcher. The GP340 EX, GP380 EX, GP580 EX and GP680 EX are supported by a range of ATEX-approved audio accessories including, headsets and remote speaker microphones tailored to meet your requirements.